Today I am so excited to be welcoming Lucy Knott as my author interview! Lucy is another HQ Digital author and one of the most kind, caring, sweet and just all around lovely people I’ve had the pleasure of meeting. And not only is she a lovely human being, she’s also an absolutely awesome author! If you haven’t checked out How to Bake a New Beginning yet, then you should because her next book comes out soon and you’ll definitely want to be straight on that party bus! So Lucy, tell me and my lovely readers a bit about you and your latest work. My name is Lucy. I love all things Italy, food and books. 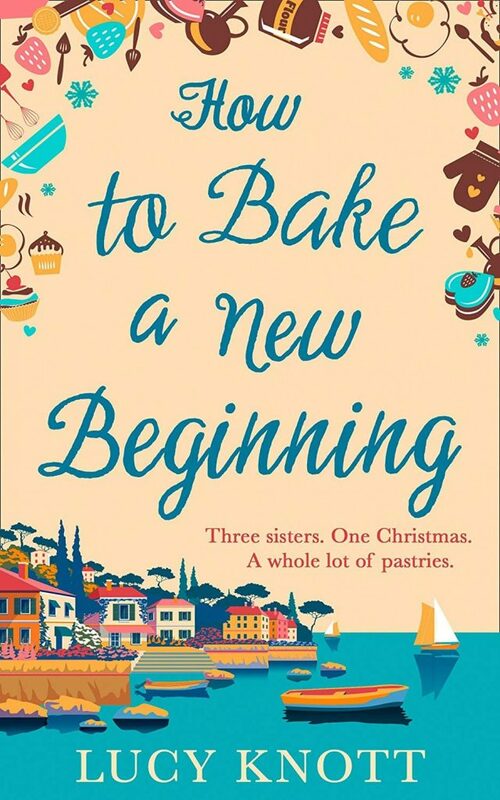 My latest novel, which is my debut with HQ Digital UK, is titled ‘How to Bake a New Beginning.’ It’s about three sisters who after experiencing incredible loss and heartbreak, all take a minute to re-evaluate their lives; facing up to their feelings, fears and dreams. The magic of The Amalfi Coast brings this out of them and opens their eyes to taking chances and what’s important. In some instances, funny moments occur, and they are forced to spill the beans whether they want to or not. Indulge in a touch of romance and mouth-watering Italian specialities on The Amalfi Coast with sisters Amanda, Sabrina and Louisa as they take a trip that will change the course of their futures. ‘Just pick up a pen and write.’ I have heard lots of my favourite Authors say this and read many a Pinterest quote that will tell you the same, but it’s so simple and true. I also think you can apply it to so many areas of life. Sometimes we can plan, talk and wait for the perfect moment to get started, but really all we need to do is just dive in and do it. Some days if I’m frazzled over what I need to write, hitting a deadline or I’m planning how I’m going to get it done, the minute I sit down and just do it, I relax and low and behold it gets done. Also, a big one for me is ‘Don’t compare yourself to others.’ We all have our favourite books and authors but there is something so special about the way in which you write. Don’t try and be like someone else or don’t get disheartened reading back your work thinking it doesn’t sound like someone else. It sounds like you and that’s a beautiful thing. Of course, you can always grow and learn, and your writing will always improve the more you do it, but your voice is special and unique, embrace it. Take it one word/sentence/paragraph at a time. Thinking about writing 90000 words can be overwhelming. Try not to focus on the number. Just focus on putting one word in front of the other and enjoy it. I just had to look up what ‘Panster’ meant then! I am definitely a ‘Panster’. My desk is always scattered with notebooks and said notebooks are more an “organized” mess than a neatly ordered plan. I scribble things down and will sometimes write a few chapter ideas of what’s next, say if I leave my laptop and want to take my notebook somewhere and write, but sometimes that doesn’t always go to plan, and my characters want to do something else and the chapter plans go out of the window. I really just love seeing where the story goes. I do make notes though and learnt a lot with book two. I had to write things down, so I remembered what I needed to go back to; to make sure certain pieces of the puzzle were explained and fit. Waking up every day getting to do the things that I love and being able to be around for my family; seeing them happy and healthy and making other people smile. I tend to simply pick names that I like and usually I say it a few times and just know that it belongs to the character. Sometimes I will ask my Nanna her favourite name and it will go into my book. Other times if I get stuck for surnames I will play around on google and see what comes up and pick something that draws me to it, and I like the sound of. Ooh, this past year has been a huge learning curve for me. ‘How to Bake a New Beginning’ was written over a period of four years. I started writing Book two once I sent off ‘HTBANB’ and I was writing it while experiencing edits and publication days for the first time and before I even knew if I was going to get signed for any more books. I think it took a year before it officially had a deadline to be delivered. Book three I started writing back in November and that is due in May, so that will be my shortest time frame so far to write a book. I’m enjoying the challenge of it all. What’s your main weakness as a writer eg.SPaG, continuity etc? Oh gosh, I am so thankful for editors. They are incredible. It’s been so amazing to work with them and even though it’s terrifying getting their notes back I always find it fascinating how they pick up on things I miss. So many times, I will read a note they have made and palm my forehead thinking ‘well that makes sense, how did I miss that?’ My brain can sometimes get ahead of me. I feel like I know all my characters so well and sometimes I forget that the readers are not in my head, so I must slow down and explain things more or be a little clearer with how they got from A to B. I feel like that might sound strange as I know that’s a writer’s job, but it can escape me sometimes. Also, I do love commas and the word ‘and’ maybe a little too much! I think this varies day to day and book to book for me. ‘How to Bake a New Beginning’ was very much a part of me. I felt that it came to the page quite smoothly. It still had loads of improving and changes of course, but the story was there, and I enjoyed writing every bit of it, so I guess that’s an easy thing when the words flow. I went through a big life changing experience when writing Book two and I admit that it through me off. My emotions tend to affect everything I do, so it was a little harder figuring out where my characters were going at certain points and what I wanted to get across. Writing has taught me a lot about myself. I think one of my biggest learning curves has been to believe in myself more and take more moments to breathe. Whenever I get edits back I tend to panic and start to fill myself with negative thoughts and self-doubt, but when I take a moment to breathe and be grateful that I am getting to edit a book that I wrote, it suddenly doesn’t seem so bad or scary. When I take it one word/one chapter at a time and I take a second to think ‘oh look I am doing it,’ I realise that amazing things happen when you just believe in yourself that little bit more. That and you must write for you. I have to say writing Book two has been a completely different experience than Book one. I started worrying and overthinking about reviews and if readers are going to like the follow up and when your mind is full of those doubts, it makes writing very difficult. I had to remind myself that I love this story, I love these characters and I must write them for me, then the words came a lot easier. Jack Kerouac has been a huge inspiration for me since I was sixteen. He just opened my eyes to a different world and inspired me in so many ways and I loved the way he wrote. However, there are so many incredible authors that I absolutely adore now; Rebecca Raisin, Maxine Morrey, Lindsey Kelk, Lara Ward Cosio, You!!! I am missing loads, but every author who just keeps writing and loves what they do. I learn from them every day, be it from their work, their advice, their writing schedule and their work ethic, I honestly adore the writing community. ‘On the Road’ by Jack Kerouac for the same reasons above. I do love so many other books but that one just has a special place in my heart. I love spending time with my family, cooking and watching movies. Summer or winter? Arrgh, both. Summer for the sunshine, summery dresses and garden BBQ’s. Winter for Christmas, oversized jumpers and curling up indoors. See! Didn’t I tell you she was awesome! 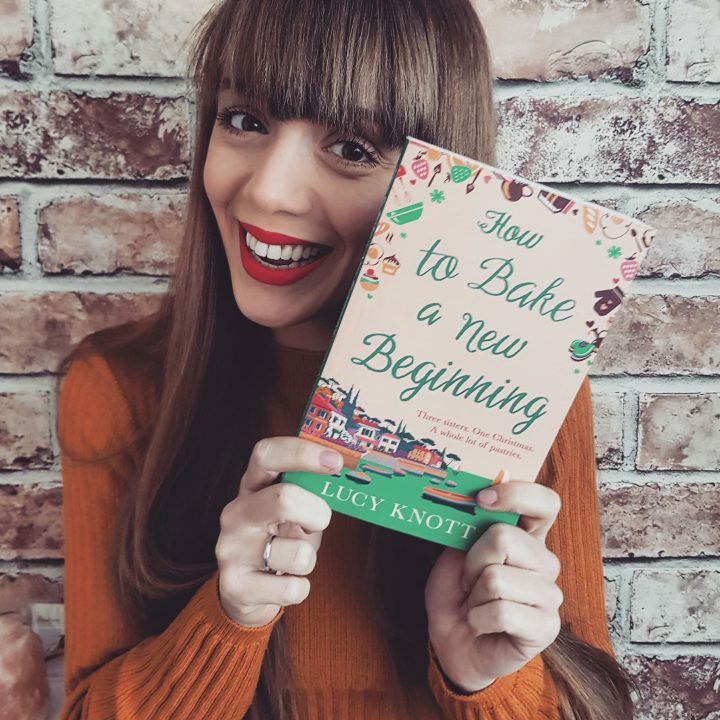 How to Bake a New Beginning is available from Amazon here: https://amzn.to/2HdVZpQ Go! Buy it now!